This book brings together the annual messages to Congress of several U.S. presidents as well as inaugural and farewell addresses. Source: This book was compiled by the Florida Center for Instructional Technology and includes passages from multiple sources. Please refer to the passage pages for further source information. George Washington's first Annual Address to Congress (now known as the State of the Union Address). George Washington's second Annual Address to Congress (now known as the State of the Union Address). George Washington's third Annual Address to Congress (now known as the State of the Union Address). George Washington's fourth Annual Address to Congress (now known as the State of the Union Address). George Washington's fifth Annual Address to Congress (now known as the State of the Union Address). George Washington's sixth Annual Address to Congress (now known as the State of the Union Address). George Washington's seventh Annual Address to Congress (now known as the State of the Union Address). George Washington's eighth Annual Address to Congress (now known as the State of the Union Address). John Adams' first Annual Address to Congress (now known as the State of the Union Address). John Adams' second Annual Address to Congress (now known as the State of the Union Address). John Adams' third Annual Address to Congress (now known as the State of the Union Address). John Adams' fourth Annual Address to Congress (now known as the State of the Union Address). Thomas Jefferson's first Annual Address to Congress (now known as the State of the Union Address). Thomas Jefferson's second Annual Address to Congress (now known as the State of the Union Address). Thomas Jefferson's third Annual Address to Congress (now known as the State of the Union Address). Thomas Jefferson's fourth Annual Address to Congress (now known as the State of the Union Address). Thomas Jefferson's fifth Annual Address to Congress (now known as the State of the Union Address). Thomas Jefferson's sixth Annual Address to Congress (now known as the State of the Union Address). Thomas Jefferson's seventh Annual Address to Congress (now known as the State of the Union Address). George Washington addresses the officers at Newburgh in an attempt to prevent a possible uprising. 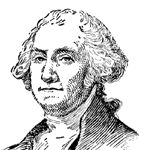 George Washington's Farewell Address was written to "The People of the United States" near the end of his second term as President of the United States and before his retirement to Mount Vernon. George Washington's first inaugural address delivered at Federal Hall in New York City, April 30, 1789. Abraham Lincoln delivered his second inaugural address on March 4, 1865, during his inauguration at the start of his second term as President of the United States. Thomas Jefferson's first inaugural address, presented in Washington, D.C. in March of 1801. Thomas Jefferson's second inaugural address, presented in Washington, D.C. in March of 1805. FCIT, . Presidential Addresses and Messages. Lit2Go Edition. 2012. Web. <https://etc.usf.edu/lit2go/132/presidential-addresses-and-messages/>. April 20, 2019. FCIT, Presidential Addresses and Messages, Li2Go edition, (2012), accessed April 20, 2019, https://etc.usf.edu/lit2go/132/presidential-addresses-and-messages/.